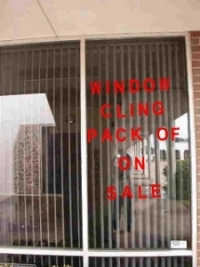 Non permanent static cling (non adhesive back) easy to peal non adhesive back makes these product easy to install. 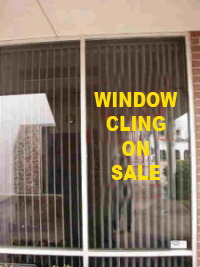 static cling are one of most popular items for holiday window and short term use decor or that special event. They can be used over and over for many years. Large and easy to read! . Visible near and far. Now you can create professional looking window stickers in matter of minutes. You don't have to use glue or tape, they are self-stickers Easy to use letters, peel off backing sheet and press on clean window glass. Sticks on both sides. Great for promotions, specials, new products and more. Change message quick and easy. 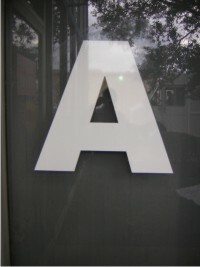 Heavy duty letters insure a perfect storefront look every time. Good choice for both big and small businesses.